We would like to help you define this space as a more informal lounge and TV room. We think that your French style chair and footstool work very well. 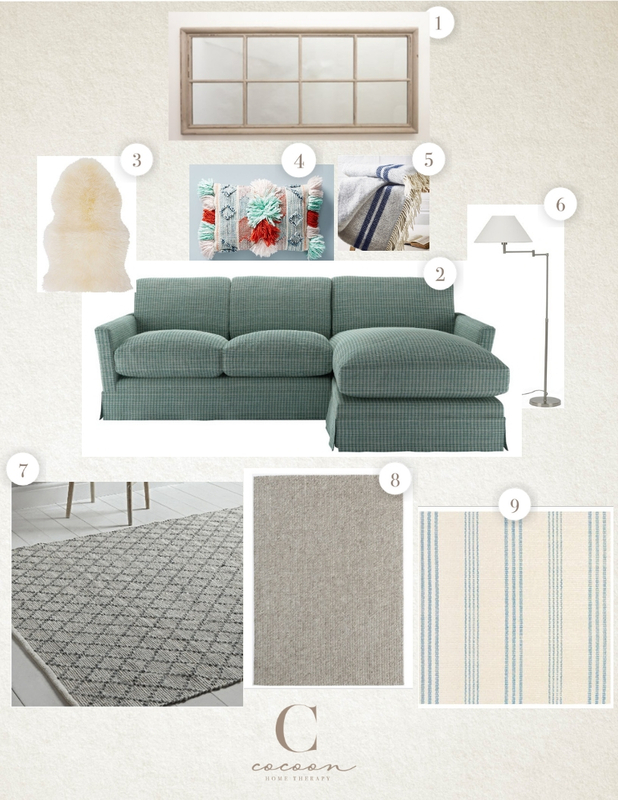 We are proposing a chaise sofa in a blue / green fabric, helping the story in the lounge to flow through the house.